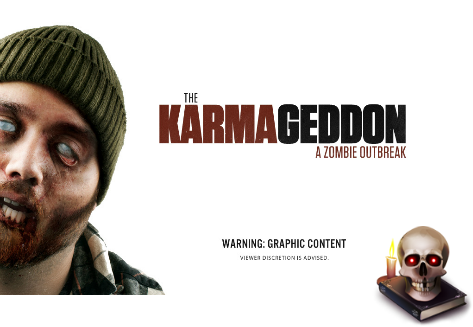 Karmaloop gets into the haunted holiday spirit with their "Karmageddon" lookbook. Click on the image above to view gruesome photos of some fashionable fiends; each photo offering up options to shop either the individual combos or the entire shoot's wardrobe, with links directly to the products featured. Get your creep in Flying Coffin, Mishka, Vans and other brands featured here at No Mas Pantalones, and be sure to use code KLZOMBIEZ to take 25% off orders over $100; 35% off & Free Shipping on orders over $150; or 40% off & Free Shipping on orders over $300 (offer expires 10.22.13).